The Makeup Review Sigma Beauty Paris Makeup Palette Limited Editionwas postponed until I got the time to use it on most skin shades and until I used all the shadows. 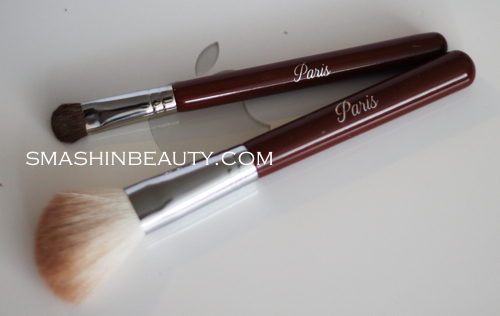 I didn’t want to hurry with my beauty product review with this new palettesince I though that the Sigma Brushes Paris palette required a detailed beauty product review. Spring 2012 Sigma Beauty launched a new LE makeup palette that was done in a collaboration with 8 current trendy youtube beauty gurus: Petrilude, DulceCandy87, Frmheadtotoe, Macnc40, MakeupbyTiffanyD, XSparkage and Xteener. Make sure to use our $10 off discount when buying this Makeup Review Sigma Beauty Paris Makeup Palette. 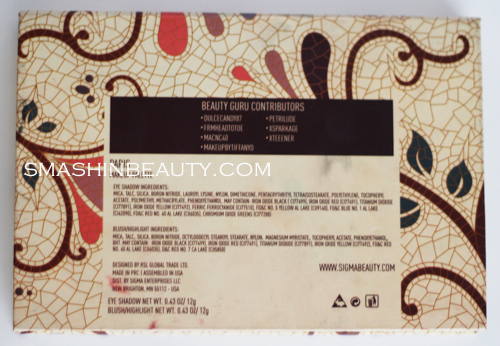 Now the Sigma Brushes Paris Palette packaging details. This palette comes in a sturdy a bit larger cardboard box shaped palette with a large mirror 11.5 cm x 9 cm. The top lid of the palette stays close with a magnet, which I personally find strong enough to keep the Sigma Brushes Paris Palette closed. This product review item also comes with a plastic protector on the top of the Sigma Beauty eye shadows and blushes, but to be honest I lost mine and sometimes wonder what if I hadn’t I’ll explain this later in the post. The Palette was shipped in a large box filled with dark paper and bubble wrap so nothing would damage in the Sigma Beauty Paris Palette Makeup Review item. 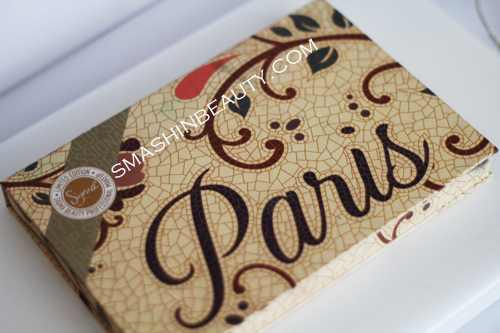 Sigma Beauty Paris Palette details concerning the palette is next. Looking at the Paris Palette these are the facts. The palette might be large for some but it can fit in a small makeup kit. I would not recommend that you carry this palette around with you in a purse the shadows might break. The palette contains 8 eyeshadows, 2 blushes and a highlighter. 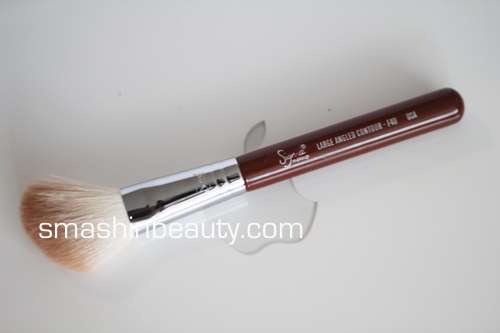 The Sigma Brushes Paris Makeup Palette beauty product review items also comes with two amazing makeup brushes the Sigma Beauty E55 shading brush which can be used to apply shadows and blend them and the Sigma Beauty F40 large angled contour blush brush. The Sigma eyeshadows are packed in small rectangular pans that contain 12 grams while the blush and highlighter come in much larger pans I think they contain 12 grams also. 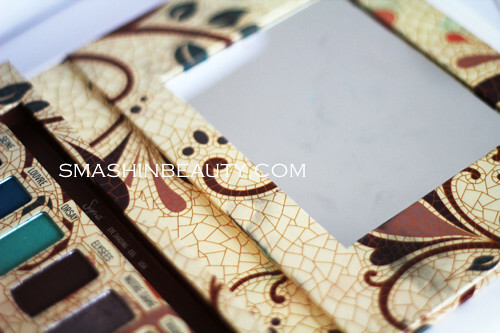 Now lets look at the third part of the Makeup Review of Sigma Beauty Paris Makeup Palette. The next things in this Makeup Review of Sigma Beauty Paris Palette are the swatches and overall quality of the products. The eye shadows are very smooth and silky on touch. 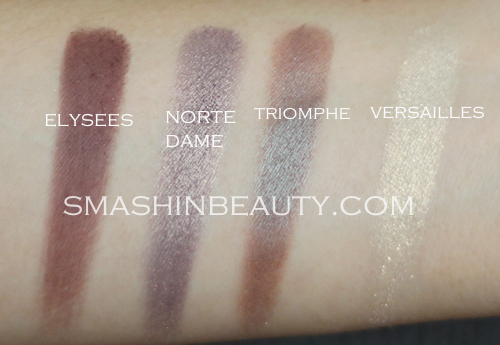 The glide on the skin with ease, however due to the soft texture some of the eyeshadows are a bit more sensitive than others, Versailles and Notre Dame, so expect falls out from these two shades. From all the Beauty product review Sigma Beauty Paris Palette eyeshadows I am not too crazy about the texture of Versailles it’s a bit chunky but I use this shade as a more dramatic highlighter. My favorite shades are Eiffel amazing for very black smokey eyes, Orsay a very fun aqua color, Notre Dame sensitive but amazing and Triomphe has a brown green “oily” metallic look. 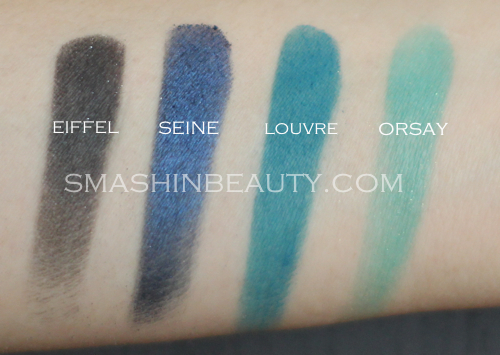 I wish that Sigma made at least one matte shade to be honest. The eyeshadow are to my surprise really well pigmented, I honestly didn’t expect this! 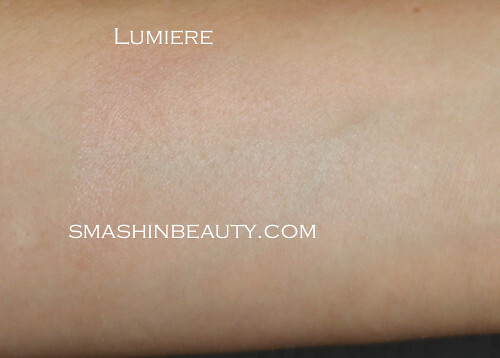 The two blushes can be used on a larger number of skin tones. 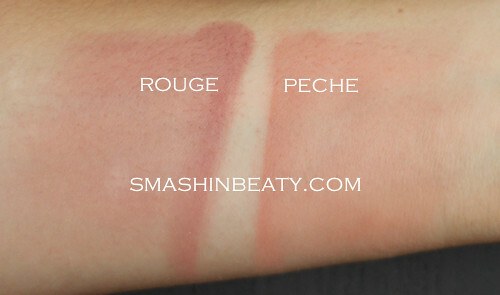 Peche is for very light – medium skin tones, while Rouge is for medium to darker skin tones, they are very very pigmented and I love them to be honest! I use Peche all the time. The highlighter might have been the thing that disappointed me the most in the palette. I expected a much stronger highlighter shade, but again I cannot complain it is a really subtle day highlighter, but if you use Versailles you get a stronger effect. 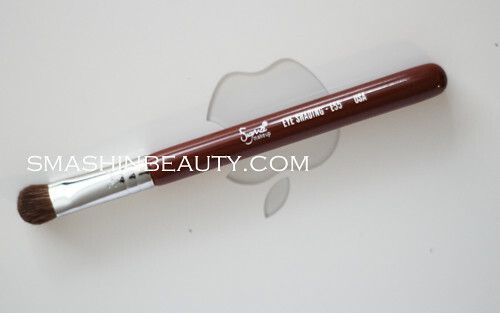 None of the Makeup Review items from Sigma Beauty Paris palette stain the skin what is a MEGA plus. 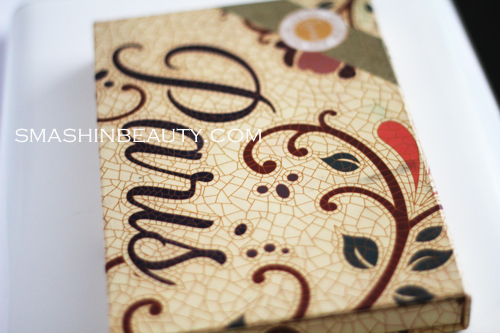 Let’s conclude the Makeup Review of Sigma Beauty Paris Palette. The price might be a problem for some when you include shipping. The shipping price to be honest is not high for international shipping since when shipping a heavy package that is well protected the shipping rate goes up; I know this from personally experience. The Sigma Beauty Paris Palette retails for $59 but when you use my Sigma Beauty Coupon Code you get $10 off + a free gift since you made a $30 purchase. The shipping rates vary based on your location. Looking at the price $49 (with $10 off without shipping) you pay $3.5 per item: (8 eyeshadows, 2 blushes, 1 highlighter, 2 makeup brushes and 1 mirror), this price per item in the palette varies based on your shipping rate. If you look at it this way it totally pays off.